Get ready to blow away zombies in this first-person shooter's latest update. 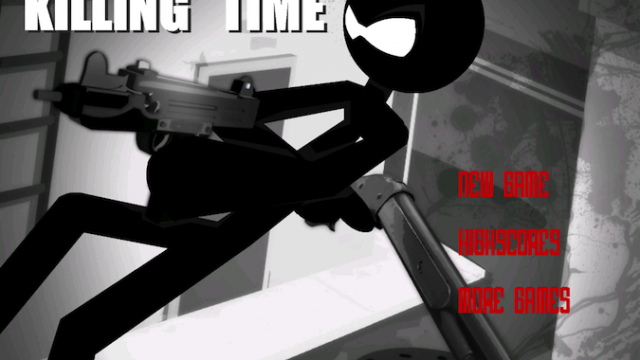 Are you quick and accurate enough for the challenging missions in Kill Shot? 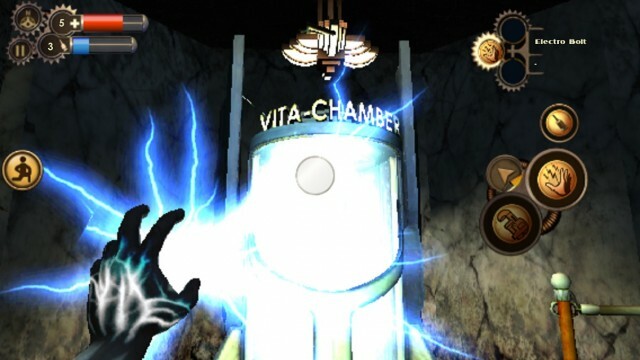 The popular FPS game BioShock is out on iOS, but is it any good? Is BioShock on iOS worth the shocking price, or should you stick to playing it on a console or PC? Fight to be the last one on Sky Survival Island in this fun, 8-bit app. 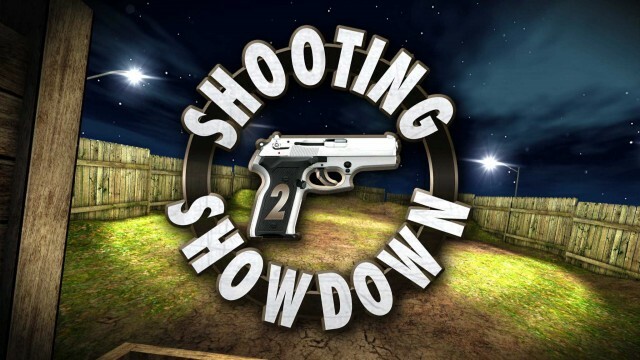 The sequel to the original Shooting Showdown is better than you might expect. 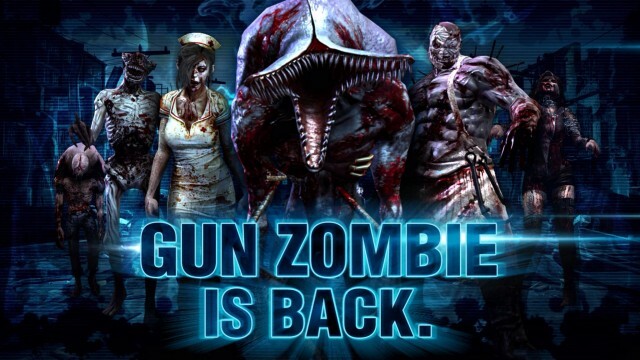 Gun Zombie 2, the latest iOS app from Glu Games, has launched in the U.S. App Store. Crescent Moon Games' Neon Shadow should be a delight for any FPS fan. 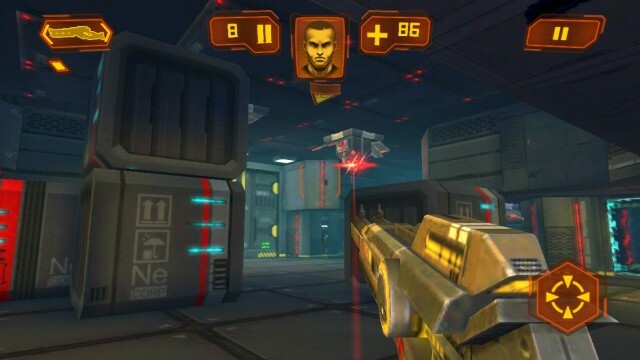 Kill some time with these fantastic first person shooter games on your iDevice. Can't decide between Minecraft, tower defense, or first person shooters? 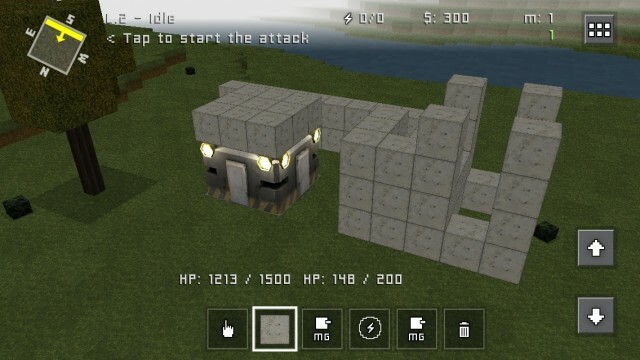 Why choose when you can have them all in Block Fortress? Kill your stick figure opponents with amazing weapons and unlock new locations with your hard-earned points. Ever want to solve World Crisis on the go? 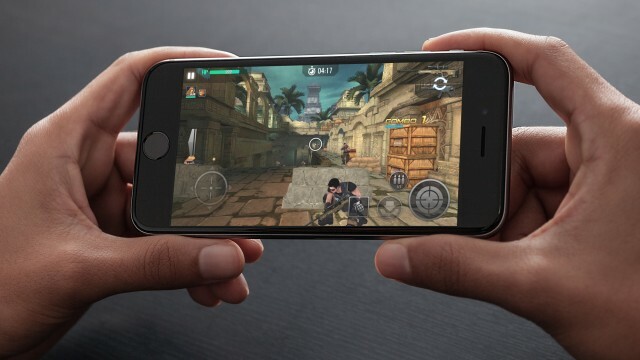 Click here to find out our favourite iOS first person shooters. A first person shooter (FPS) game where you rise in notoriety by escaping from prison and putting down anyone who tries to stop you. You can perform frontal assaults or opt to strike from the shadows. 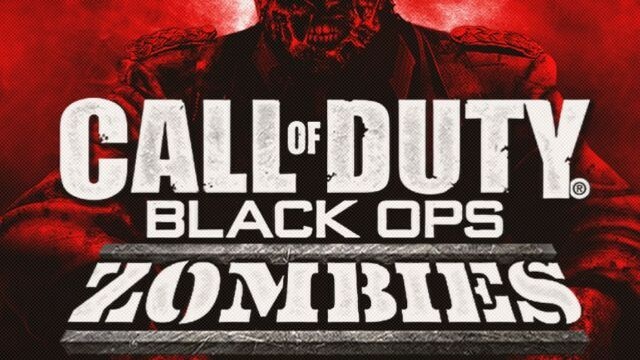 Call Of Duty: Black Ops Zombies Is Here — But Is It Zombie FPS Done Right? 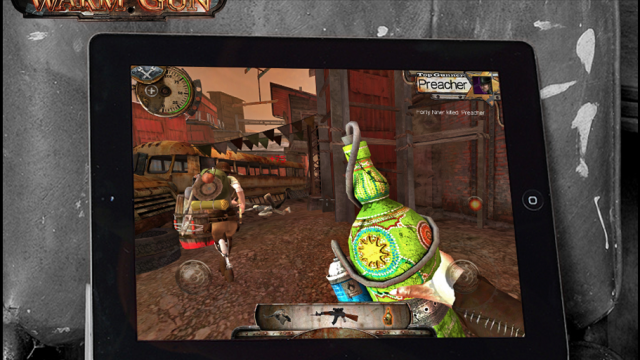 Call Of Duty: Black Ops Zombies is another iOS installment of the popular console games. 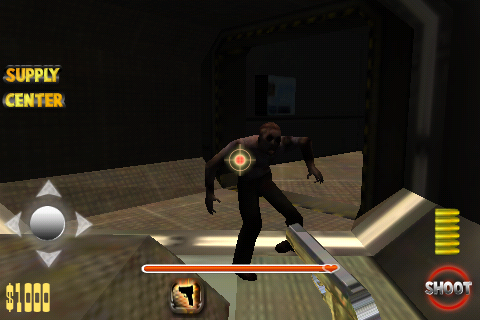 Deadly Zombies Attack is a first-person shooter that has you walking through zombie-infested buildings. 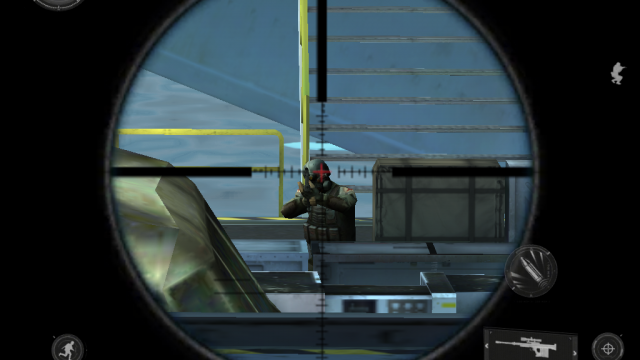 You'll need to clear the path by dispatching them all with headshots. Dark Meadow is a little bit of everything all rolled into one. 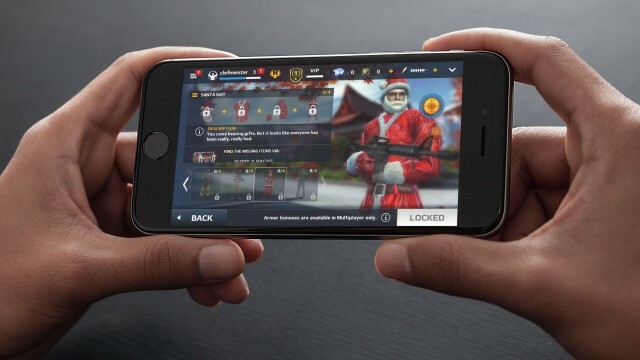 You won't want to miss this amazing iOS gaming experience! 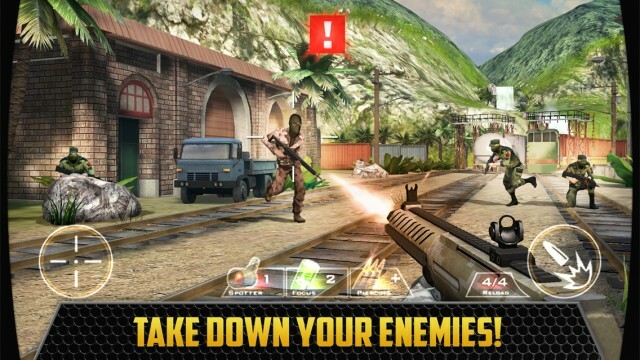 Gameloft has made a name for itself by bringing the essence of various console games to iOS, and with Modern Combat 3, they have largely succeeded. If you enjoy multiplayer-based, first-person shooters, check out the trailer for Emotional Robots' upcoming game, Warm Gun. 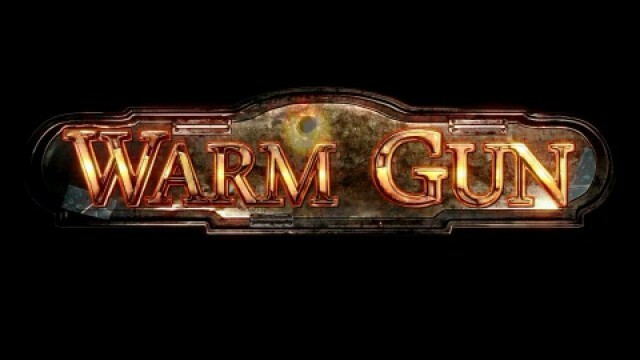 Warm Gun is set in the wild wild west, but also mixes in some sci-fi-based elements and special effects from another era. The art style is also very steampunk-like. Look for it sometime this month. 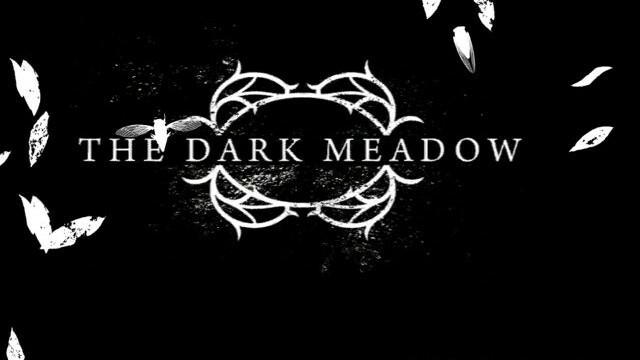 A new website and teaser have been created for the upcoming iOS horror FPS game, The Dark Meadow. The game is powered by the Unreal Engine and will offer stunning graphics. Look for the release sometime this month. 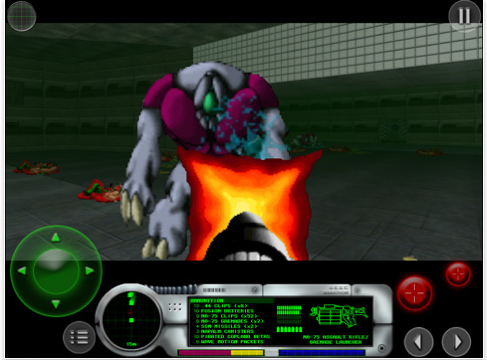 This 1994 first-person shooter was the Mac's answer to PC FPS games like "Doom." Bring On The Dead With Dead Raid! Dead Raid is a area defense game that uses the gyroscope in your iPhone or iPad, with unlimited levels, and tonnes of unlocks. For ages, people have been enjoying first person shooters on their game consoles of their choice. For the last few years, you can now enjoy that type of experience with the iDevice in your pocket. This updated AppGuide, with the addition of Dead Space and its fantastic Survival Mode, will help you find the best First Person Shooters in the app store, just like the ones you enjoy so much on a game console. 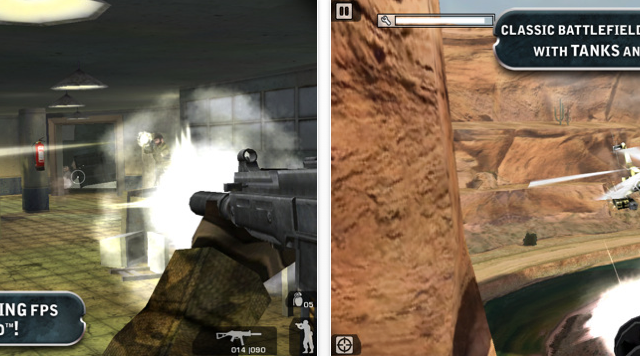 The hit first-person shooter based on modern wars is now available on the iPad. Battlefield: Bad Company 2 offers both single player and multiplayer fighting action. 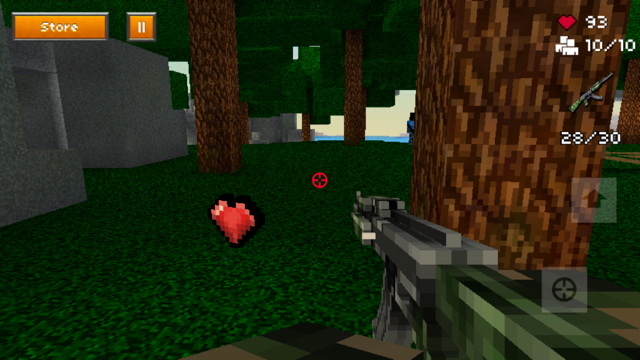 Players can also control multiple vehicles and fire explosives, like RPGs, to make their enemies suffer.